Halifax Town came away from Brisbane Road with all 3 points as they out witted the O’s with a combative performance in a 3-0 win. 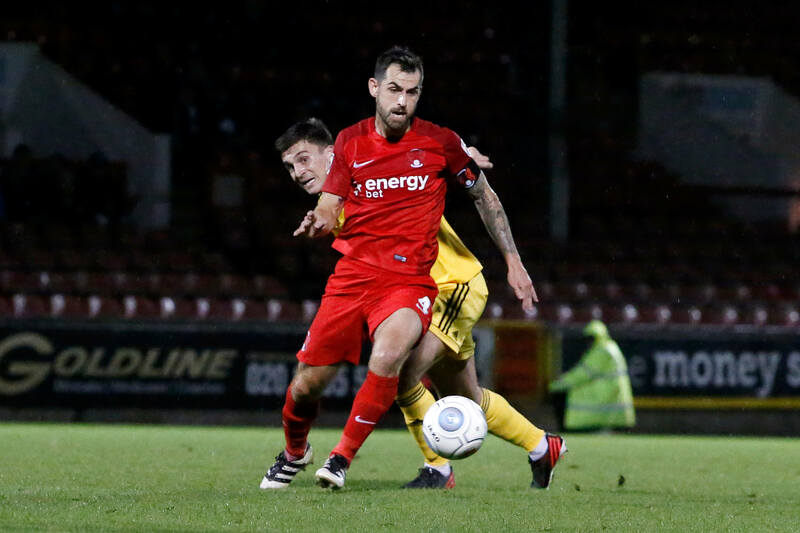 Leyton Orient came into the game looking to come back from last Saturday’s defeat at Boreham Wood to return to winning ways but it never looked likely from the off as the visitors took the lead on only 5 minutes. Orient looked shell shocked throughout the game against a Halifax team on a great run who could absorb pressure whenever the O’s pressed in the last third of the pitch. Two defeats on the bounce now for the O’s which will put a few question marks over manager Steve Davis’ teams direction. In four days those 2 defeats have seen no goals scored and 5 conceded and will certainly ring a few alarm bells. It’s obviously far too early to say that Orient are in trouble but it’s sharp contrast to a fortnight ago when the O’s were riding high in second place in the National League table. Town to be honest looked cool, classy and in control and if you were a neutral you would have bet your bottom dollar that Halifax were the home team. With this win the Shaymen moved up to second in the league. Perhaps Leyton Orient could do with their own Shamen as this was a poor performance in front of exactly 3,600 paying punters. This defeat sent the O’s down to 9th place in the division and more worryingly with a goal difference of minus two, currently the worst goal difference of the top 16 teams! Due to injuries if there are any excuses then the O’s had no choice but to make two changes to the team from Saturday’s defeat at Boreham Wood. 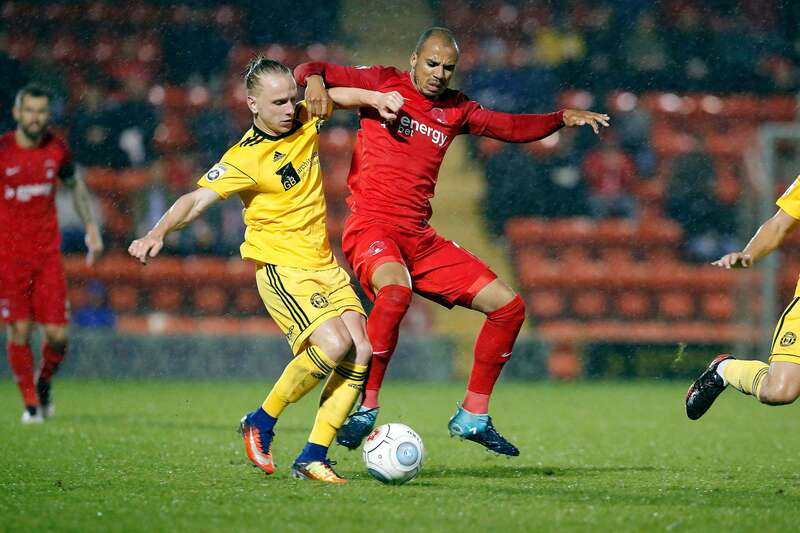 Orient were without first-choice centre back George Elokobi and Josh Coulson after the pair picked up hamstring and groin injuries respectively. Jamie Sendles-White made his full debut for Leyton Orient against a Halifax Town team that had made the lengthy trip down to East London. Sendles-White, a summer signing, was handed his first Orient game in a competitive fixture and the former Swindon Town defender lined up alongside Michael Clark, one of several youth graduates in Steve Davis’ squad. In all Davis made five changes as James Dayton also missed out due to a tight hamstring, so Rommy Boco was given another chance on the right. Henry Ochieng and David Mooney who both had extremely poor games at the weekend were also dropped to the bench as well with Alex Lawless and Matt Harrold coming into the starting line up. After Saturday’s gutting performance it was another bitterly disappointing match for Steve Davis’ team, as they saw their strong form at Brisbane Road come to an abrupt halt with their first defeat at home this season and their first home defeat in the National League. It started badly for the O’s and never really improved as Tom Denton flicked on for former Liverpool striker Adam Morgan to rocket the ball home with just 5 minutes on the clock. Orient were over run by the speed and cohesion of the Halifax midfield and Denton powered home a bullet of a header to double the lead in the 29th minute. In between Matt Harold almost scored for the O’s with a header from a McAnuff cross but it whizzed wide of the Town goal. Macauley Bonne had a couple of chances off target and one other went begging when hitting the target appeared an easier option while McAnuff produced a wonderful 25-yard strike, but saw his effort ricochet off the inside of the post and away from danger. The rain came down just like on Saturday and again Orient were second best and went 3-0 down from a penalty. Clark was adjudged to brought down Denton inside the penalty area and referee Christopher Pollard awarded a penalty on 73 minutes. Kosylo stepped up, made no mistake and sent Grainger the wrong way. The 153 Halifax supporters would have returned to the North happy as Steve Davis his men return to the drawing board. Next up is Hartlepool United on Saturday, the team relegated with the O’s last season.